In recent years, tea has become a big draw in some surprising markets such as the United States. The business is worth over $11 billion in the lower 48 states alone and continues to expand at an impressive rate. If you’d like to stake your claim in this lucrative industry, here are more than a dozen great ideas for making money from tea. For the most part, the tea that the average consumer buys in the supermarket all comes from a few main sources. As such, there’s not a lot of diversity when it comes to tea types. Identify a couple of organic, high-end tea growers in China or Sri Lanka, have it shipped over and distribute it locally. If you want your side business to be the next Dollar Shave Club, a tea-of-the-month outfit is a terrific opportunity that remains largely unexploited. Come up with a number of pre-arranged tea care packages, ship them out to consumers and rake in the dough. Pay careful attention to customer feedback to tailor your future tea selections. Side hustlers that live in southern states like South Carolina or Georgia can easily grow their own tea at home. All you need is a few acres of arable land and a little elbow grease. If you live closer to Canada, you can still crank out a surprising amount of tea using a simple greenhouse. While you might not get rich selling tea plants to aspiring farmers, the return on investment is hard to pass up. Some tea plants can go for as much as $50 depending on size and pedigree. All you need is a greenhouse, some seeds, a few pots and a little patience to get started. Anyone that’s ever attended a tea party knows how elaborate and expensive tea hardware can be. Selling everything from copper kettles to silverware on eBay is a great way to cash in on the burgeoning tea appreciation trend. Try to find discounted antique tea hardware that will command top dollar on the secondary market to maximize profits. Any entrepreneur that likes to tinker can make a fortune by crafting their own custom solutions to tea preparation and serving problems. Come up with a model using CAD software, make a prototype with a 3D printer and have a third-party manufacturer deal with the production. Make sure to patent any creations that you dream up. While tea can be enjoyed in any setting, nothing beats the ritual of sitting down for tea in a classy establishment. Study up on Russian or Japanese tea culture to get an idea of how a proper tea service works. Rent a small commercial space with a kitchen, renovate the dining room and advertise to local foodies. Few catering companies really specialize in delivering an amazing hot beverage experience at private parties and conventions. You can quickly make a bundle by taking your tea cafe on the road. As long as you have the tea preparation part of the equation perfected, you just need a few samovars, serving cups and inexpensive silverware. When in doubt, slapping together a quality website and monetizing it with affiliate links, ads and endorsements is always a wise move. A tea blog could take many forms. For instance, it could focus solely on reviews of different teas or tea gear. Alternatively, it might revolve around proper tea preparation and consumption techniques. If you can bake it, there’s a good chance that you can improve the final product by adding a little tea. Crafting recipes for everything from dessert breads to salad dressing that use tea in some way isn’t hard. Fine-tune your recipes in the kitchen and compile them into a digital or physical cookbook. Many consumers that are unfamiliar with tea would love to have someone teach them the ins and outs of the subculture. Sites like Teachable and Udemy allow anyone to create their own online course, distribute materials to students and set tuition rates. Market the course via social media and charge a modest fee for attendance. Most people are naturally inclined to advertise their dedication to their hobbies and interests. Selling tea-related t-shirts, sweatshirts, aprons and oven mitts on Etsy or Teespring is a surefire money-maker. Make your items stand out by taking a novel approach to apparel creation. For instance, a t-shirt with a tea identification chart on the front can be simultaneously practical and eye-catching. Nowadays, quite a few web surfers would rather watch a quick YouTube clip than wade through a blog post. If you’re already running a tea-specific blog, turn your articles into accompanying videos that summarize the information found therein. Try to keep your videos under two minutes in duration to attract as wide an audience as possible. If you don’t mind getting messy, creating soaps and candles almost always guarantees a high return on investment given the right marketing. Set up a workshop in your garage or basement and play around with different teas and formulas. Remember that presentation is half of the equation when it comes to selling soaps and candles. Thanks to pioneering companies like Seventh Generation, environmentally-friendly cleaning products are all the rage these days. 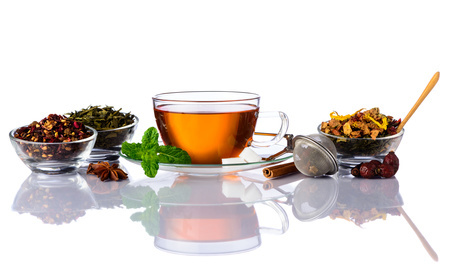 Believe it or not, many of the compounds that are found in tea have strong anti-bacterial properties. Citrus and vinegar cleaners that include various tea extracts could potentially be quite popular with homeowners if they’re marketed to the right crowd. If you’re interested in making money from tea, the ideas covered here should keep you busy for awhile. Any of them can provide a steady side income when executed prudently. Some could make you a fortune if you’re prepared to go all the way. Ultimately, there’s still plenty of room left in the tea business for hungry entrepreneurs that think outside the box.